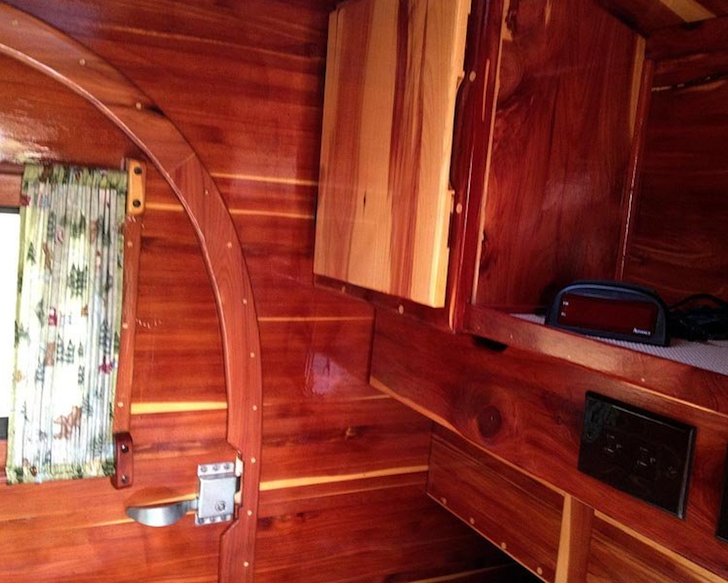 This no-frills teardrop camper is made almost entirely of cedar. 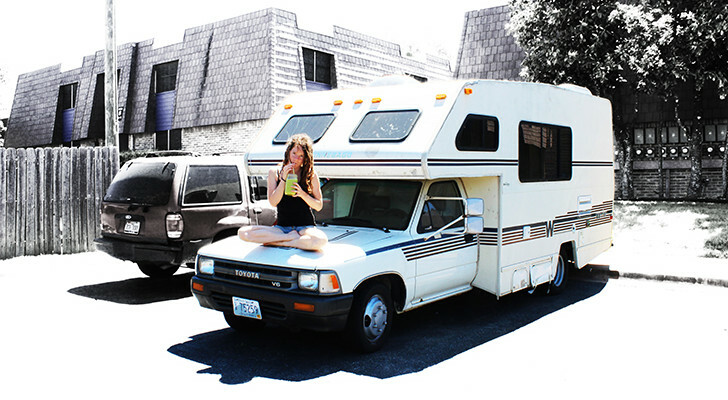 Many teardrop trailer enthusiasts have built their own small campers from free plans found on the web or from a company that sells building instructions. 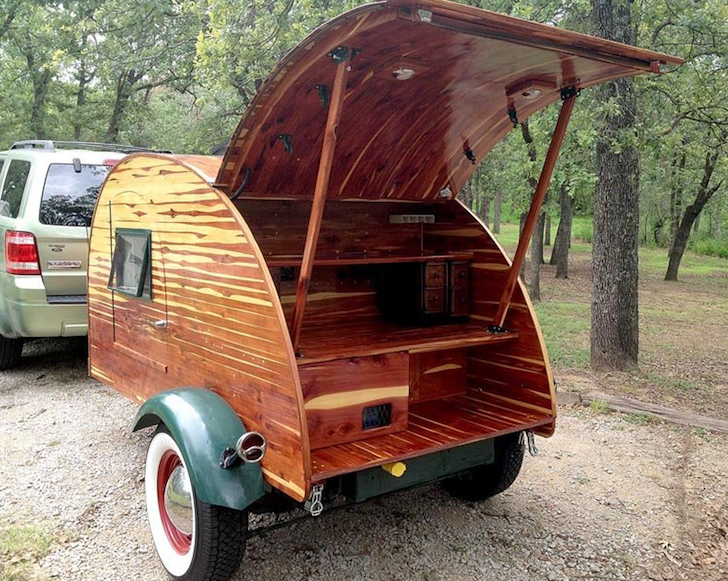 User BenchDawg from the woodworking showcase site LumberJocks unveiled his homemade trailer that he designed from his own mind’s eye. 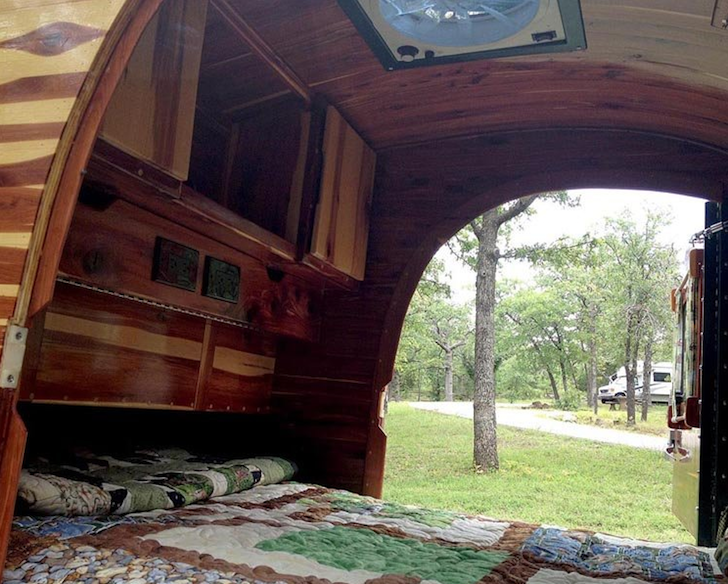 This is a 4 ft. by 8 ft. cedar Teardrop trailer. I used a rusty old homemade trailer frame I found in field as the foundation for this project. My goal during the building process was to preserve a “vintage” look. I tried to build this much in the same fashion as the pioneers of this genre did back in the thirties and forties. Nothing fancy. 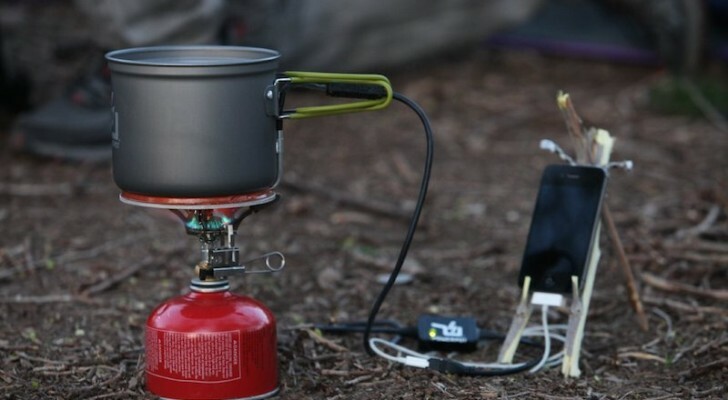 No extras, just simple form and function. 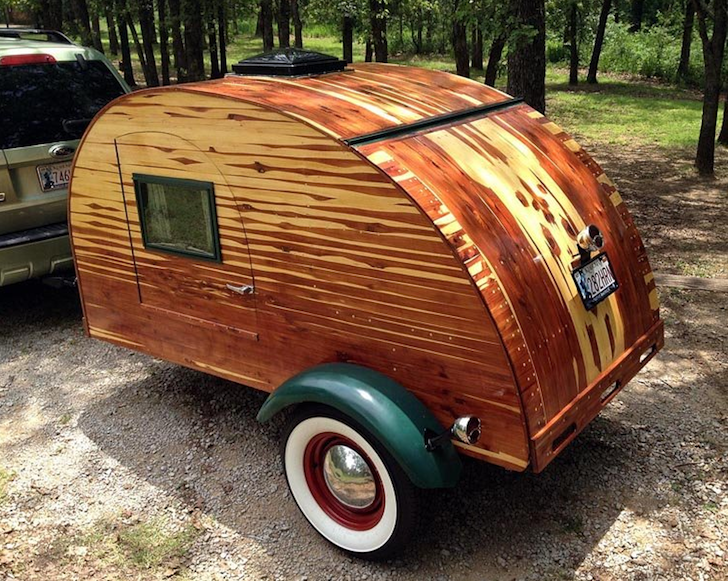 Named “Fern”, this tiny teardrop trailer sports a striking exterior made of laminated cedar wood. 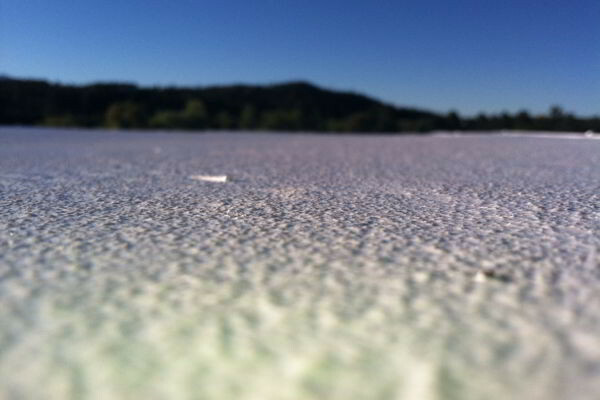 Quarter inch plywood serves as the floor, while the walls are made of half inch plywood. Laminated cedar stripping covers both surfaces. Some woodworkers express frustration when working with cedar, as it doesn’t readily bend and the dust created by sanding and sawing can cause an allergic reaction. I love the beauty of cedar, however, if I ever do it again, I’d be more inclined to use a wood that is a little more flexible. For the most part the cedar cooperated but in some spots, I took it to edge of what it could do! 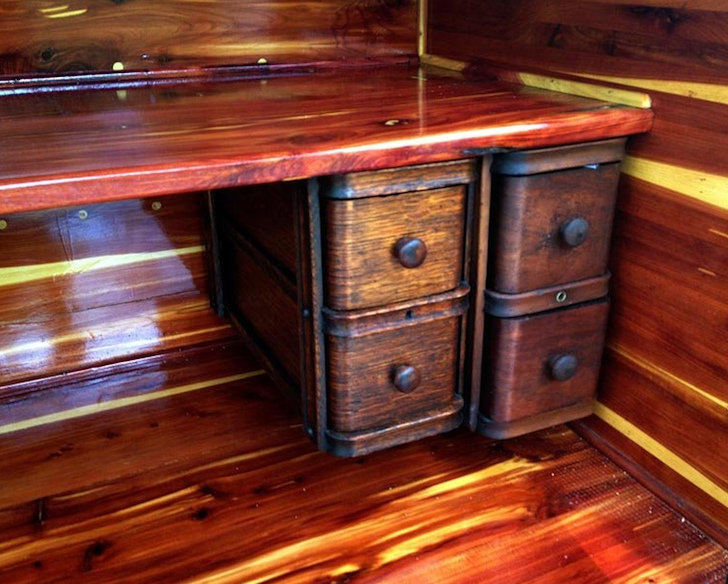 The rear galley shelving is made of cedar too! 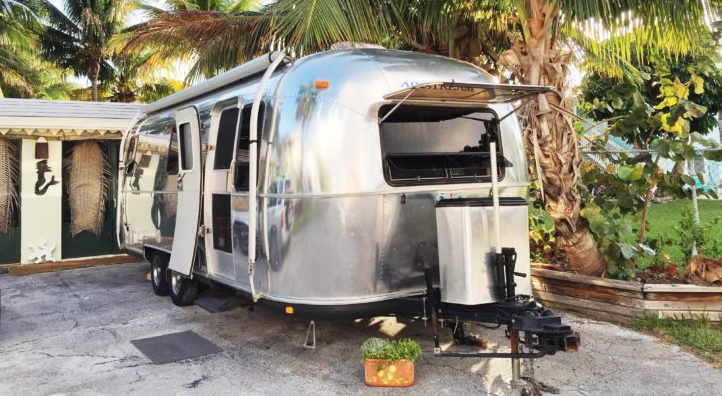 While he designed this teardrop after vintage models from the 30s and 40s, you might be able to expand the build with these ideas. For the interior shelving, he retrofitted an old sewing machine cabinet. 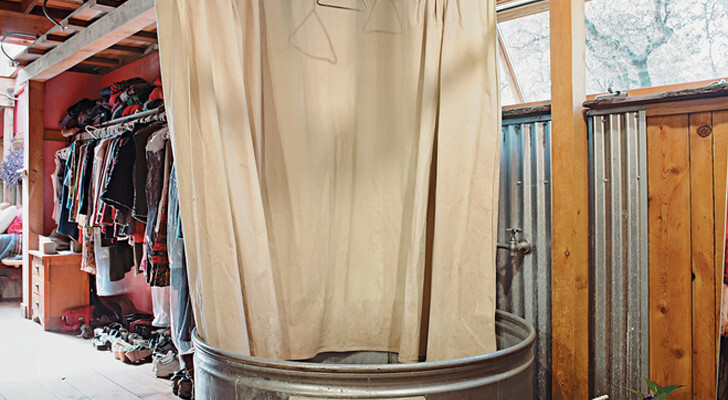 The hatch is a sturdy one: it’s built from 1/2″ oak plywood. 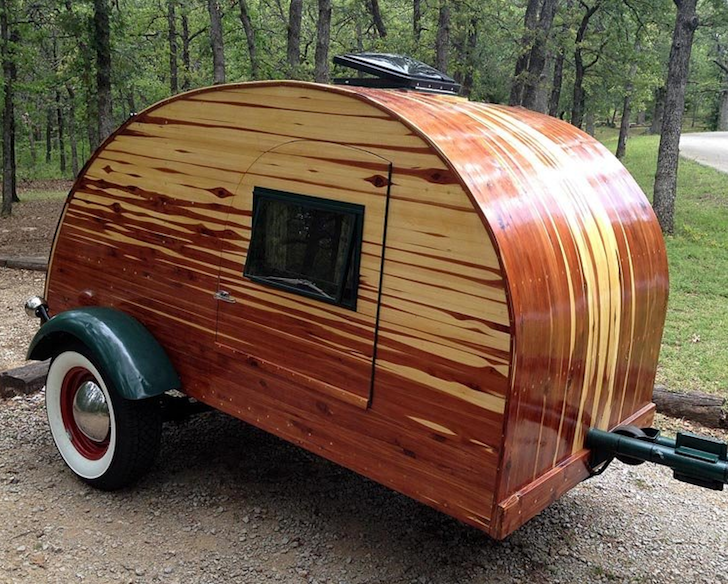 To protect the exposed wood finish, he coated the entire teardrop trailer in four coats of varnish. 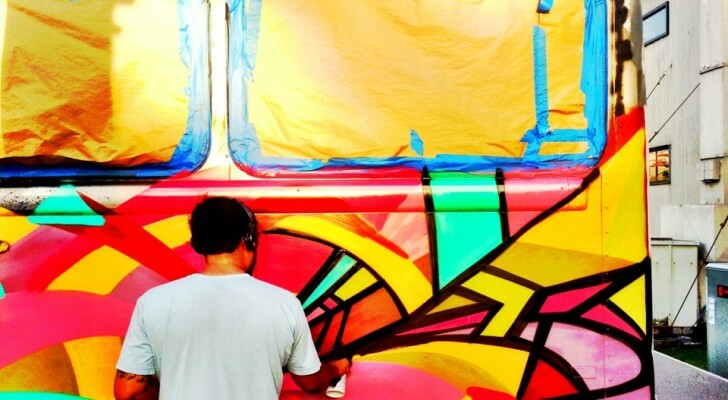 It was a fun project and took roughly nine months to complete. 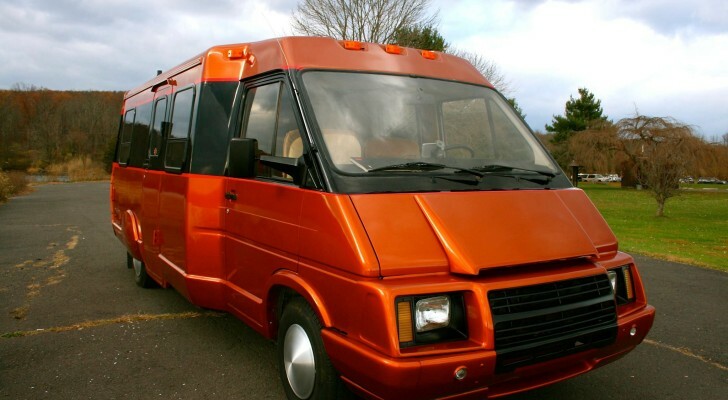 It tows like dream.